Today we’re talking customer surveys. And yes, we’re framing it a Star Wars context. There’s an iconic line near the end of “The Empire Strikes Back”. Luke’s been defeated by Darth Vader, and is hanging on for dear life at the end of the platform. “You don’t know the power of the dark side”. And as ignorant as that silly farm boy was about the awesome benefits of the dark side*, it illustrated an obvious point. Up until his comprehensive loss to Vader, he really hadn’t been aware how powerful the dark side was. And that’s how a lot of people approach customer surveys (or marketing surveys – either term works fine). They just don’t know the power of them. I’m sure you know what a survey is. But I’m going to repeat it here, since it’s kinda fundamental to what we’re talking about. A survey’s a way of asking your customers how they see what you do, and how well you’re doing it. By the way, I’m not talking about those paper card “customer satisfaction surveys” you get in restaurants, where you just tick a few boxes. No, I mean actually asking them. Getting them to spill the beans on what problems you solve for them, what they actually want from you, what you’re getting right or (more importantly) how you can do it better. And when your customers talk, the information they provide is power. 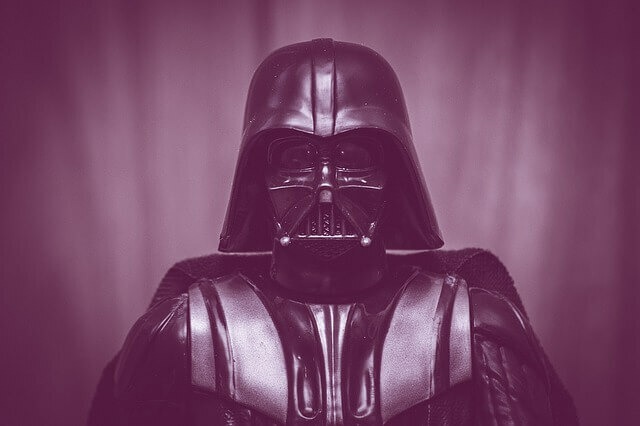 Marketing and business power, dropped right at your feet like an Imperial Admiral clutching his throat. I’m a copywriter, so I view how you use surveys from a copywriting or marketing perspective. This is key for a copywriter. If your copy or message doesn’t connect with your customers, you’ve wasted your time, no matter clever your words are. Actually, it’s worse than wasting your time. If your message doesn’t gel or disinterests potential customers, along with showing existing customers you “get” them, then you’re actively driving them (and sales) away. So when you get your customers’ words in your hot little hands, you’ve got you need to improve every piece of marketing for your business. Your website, your emails, your flyers and posters, even sales or landing pages if you use them. But that’s just the copywriter’s point of view. The survey is just like the double-bladed lightsabre – it works both ways. 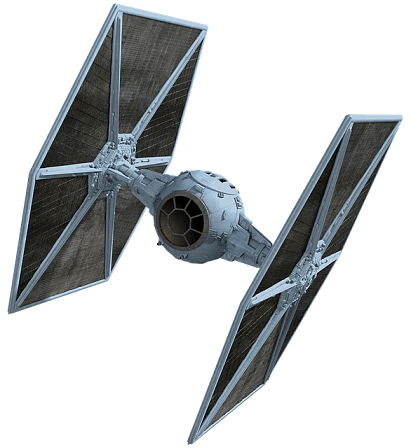 In the vein of a screechy Luke Skywalker blowing away his first TIE Fighter, you may be rubbing your hands with a confident excitement over what secrets a survey will uncover for you. You may already have a long list of questions you’re ready to put to them. But think about that list, stretching down the page. Now think about your customers taking one look at that list and thinking “Ergh, no way am I wasting the next 15 minutes on that”. So you’re going to keep it short. Really short. In fact, there’s only 1 question you need to ask. The answers to this question will tell you whether your product or service is helping your customers, if (and how) it can be improved or whether there’s room to develop something new. And it’ll give you the language to tailor your copy and ensure it’s talking to their pains and desires. What’s the biggest challenge you’re currently up against trying to achieve (whatever you think their goal is)? What was going on in your life that brought you here today? So that’s it. Just that one question. Sure, you can ask others. But these should be supporting or segmenting questions. Little things like age or gender – “tick and flick” questions with little effort to the customer – can provide a little extra data. But they’re secondary to that single question. So now you know the question to ask. All you’ve got to do is ask it. And you can do that in a number of ways. Yep, the good ole’ face-to-face (or Skype-to-Skype). And yep, it’ll cost you a lot more time. But asking someone real-time can be valuable, as you get to explore the answer in depth and really dig into what the customer means. More depth = more marketing / business goodness. If you have an email list, you can simply ask them with a short email. It’s a great way to collect a lot of answers in a short time, and you can follow up the ones you need to clarify or dig deeper. If you have a website, you can automate your short survey with a pop-up or page. After set up, there’s zero effort on your part. However, it may take time to get responses as not everyone visits your site on a regular basis or will respond. Everyone’s on it, so maybe social media is the best place to ask. Tweet it, put it on your Facebook page or splash it up on Instagram with a snazzy graphic. Or best of all – use each method. They’re complementary. Some of your customers hang out on social media, others will see it on your website, and others may only read your emails. And if you want to ratchet up response rates, you could offer a small^ (and relevant) incentive for completing it. There’s a lot more to customer surveys than this short post can cover. If you want a comprehensive system that demonstrates the full power of the survey, look up Ryan Levesque’s ASK method. Oh, and for those skeptics out there still doubting the difference a customer survey can make, I just have this to say.